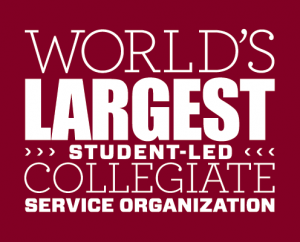 Both on a local and national scale, CKI works with organizations to help anyone who might need assistance. Our involvement varies greatly, but here are descriptions for a few of this year’s highlights! 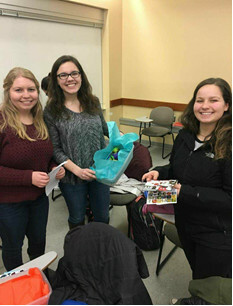 For the Jared Box Project, WSU CKI created boxes for children in hospitals. Each box had items specified for age and gender, and were for those in emergency rooms, patient rooms, surgical centers, and other clinical settings. We hope that by receiving these boxes, children would get to experience the importance of play, as well as get our well wishes and warmth from WSU. Learn more about the Jared Box Project. WSU CKI assisted with the Gingerbread Time at the Neill Public Library. 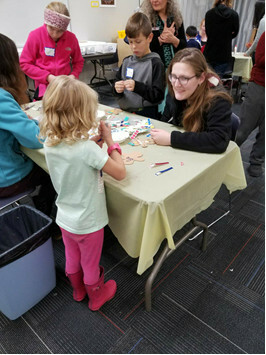 Our members led different stations for Pullman’s youth – a highlight being the gingerbread decorating station. 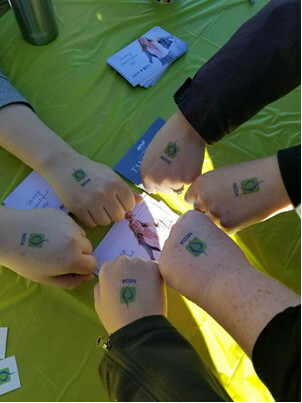 As per member request, CKI looks forward to more events at the public library. More about the city of Pullman’s library. 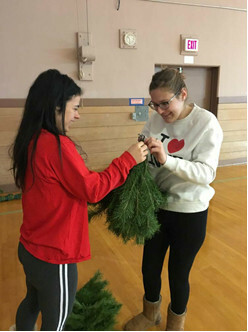 Our members assisted those at the Gladish Community and Cultural Center by moving all their decorations from the attic and setting up their enormous tree. What better way to get in the winter spirit? More about the center. Lilly Miller and Karoline Tyne working with pieces of the big tree! Backyard Harvest is a nonprofit organization in Moscow who focuses on connecting local growers to food pantries. In their words, they wish to “Outgrow Hunger” in the community. 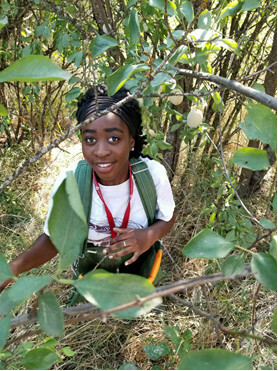 CKI was lucky enough to help pick plums, pears, and apples this past fall! Backyard Harvest on Facebook. 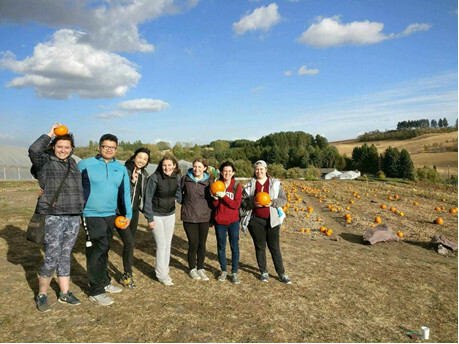 CKI had the opportunity to help with the WSU Eggert Family Organic Farm (the teaching farm for those studying Organic Agriculture) for their Fall Harvest Festival. 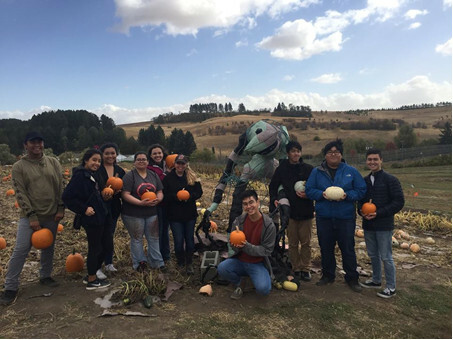 For this event, members helped weigh pumpkins, serve food, park cars, and paint faces! Find out more information about the farm. Did someone say fancy? 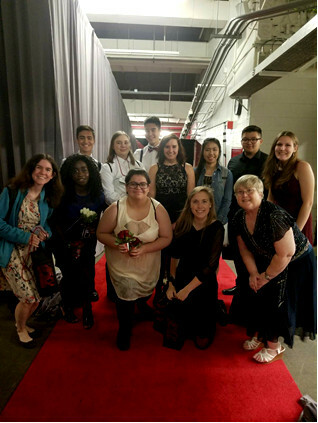 WSU CKI assisted the WSU Foundation for their annual Gala to thank donors for supporting the school. 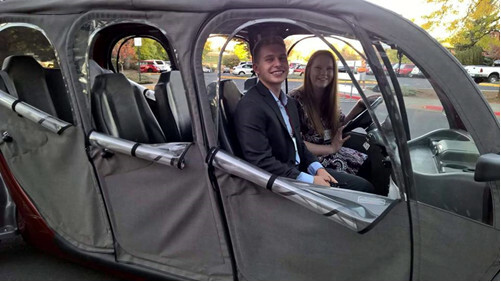 Dressed to the nines, Matthew and Diana shuttled guests to and from the Beasley Coliseum, while other members escorted the donors to and from the stage during the awards ceremony. Being in the PNW, we love working outdoors. 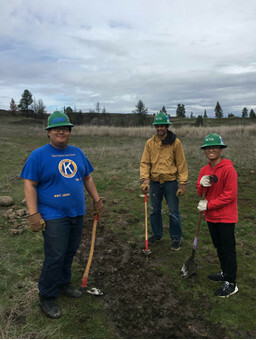 With Washington Trails Association, WSU CKI helped create new trails for the public to enjoy near Spokane, WA. More information about Washington Trails Association. 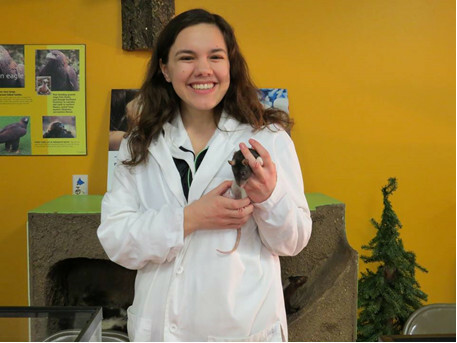 The Palouse Discovery Science Center emphasizes hands-on opportunities to the new generations. 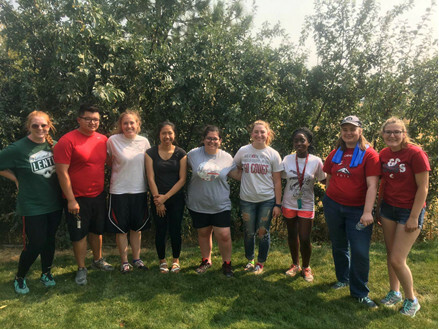 WSU CKI educated young scientists at the in the In the Wild event. Find out more about Palouse Discovery Science Center. 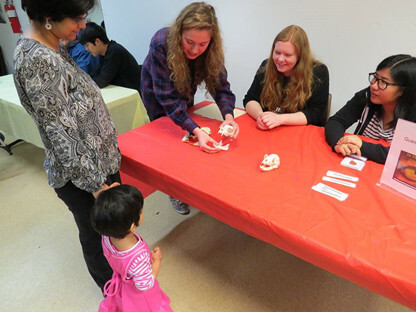 Serena Ranney, Diana Bergstrom, and Valerie Ebbay explain the different skull types. 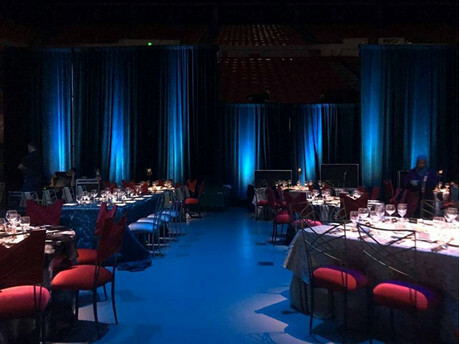 The Washington Idaho Symphony is an organization with the focus of giving this area the wonder of classical music, as well as preparing local musicians for their future careers. CKI helped with their silent auction, as well as the live desert auction. Learn more about Washington Idaho Symphony. 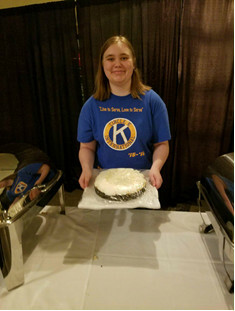 Hannah Workman can be seen showing off one of the delicious cakes to be sold at the live dessert auction! 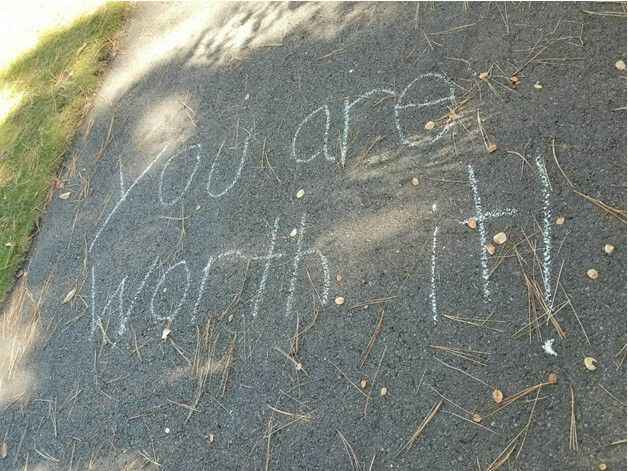 National Eating Disorders Association (NEDA) is a non-profit that supports both individuals and families affected by eating disorders. By working for prevention, research, and better treatment, NEDA clearly shows that they care for those affected, and that they wish to spread more understanding. 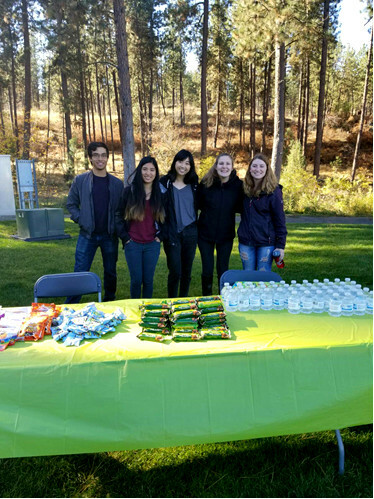 WSU CKI members were lucky enough to help at their 5K walk last fall. 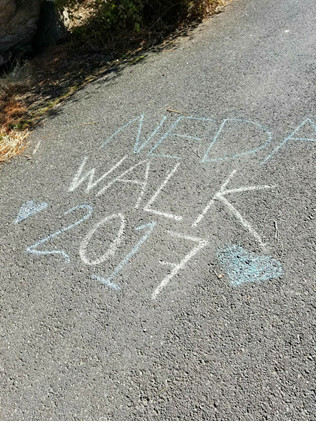 More information about NEDA on Facebook. 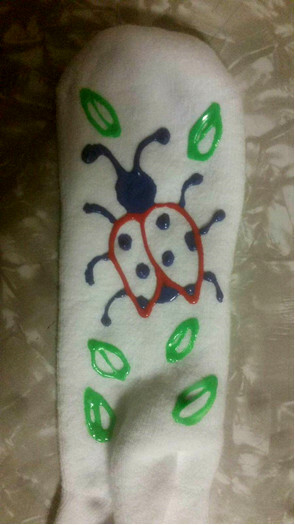 Another fun service project CKI completed was making “no-slip” socks for seniors. By wearing these, those in senior living facilities would be less likely to get injured from falling. 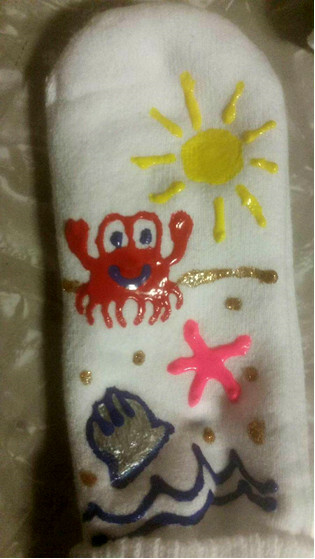 Take a look at some of our fun designs! 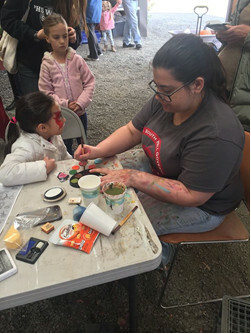 Palouse Clearwater Environmental Institute (PCEI) let us help out with their Animals of the Night event where families could come explore different animal themed booths. WSU CKI served food to guests and helped them navigate the parking lot. 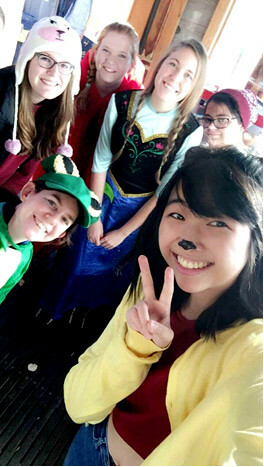 On top of that, members had a great time dressing up! More about PCEI.